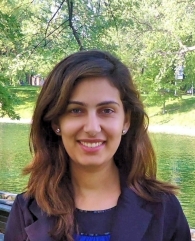 Nagham Sayour is an assistant professor of economics at the Lebanese American University. She holds a PhD in Economics from McGill University, Canada. She also holds an MA in Financial Economics and a BS in Mathematics with a minor in Computer Science from the American University of Beirut. Her research is in the field of empirical microeconomics with special interest in labor economics, child development and experimental economics. Sayour, N. (2018). The impact of maternal care on child development: Evidence from sibling spillover effects of a parental leave expansion. Forthcoming in Labour Economics. Chemin, M., & Sayour, N. (2016). The effects of a change in the point system on immigration: evidence from the 2001 Quebec reform. Journal of Population Economics, 29 (4), 1217-1247.